Washington's Cleveland Park suburb is known to be a treasure trove of classic 19th century homes. Alas, in the midst of its cherished dwellings was a Craftsman seeking a bit of love and care of its own. Enter a young couple who were ready to invest in renovating and restoring their home. 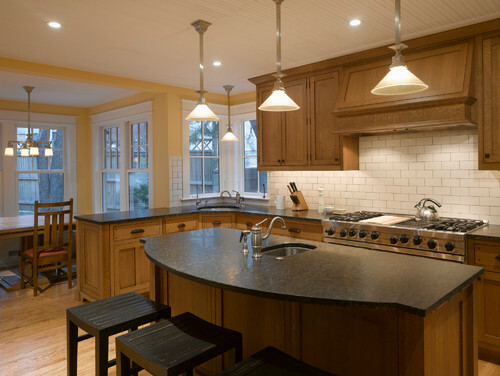 Ten years after living in their Porter Street bungalow, they needed more space and updated systems for their growing family. 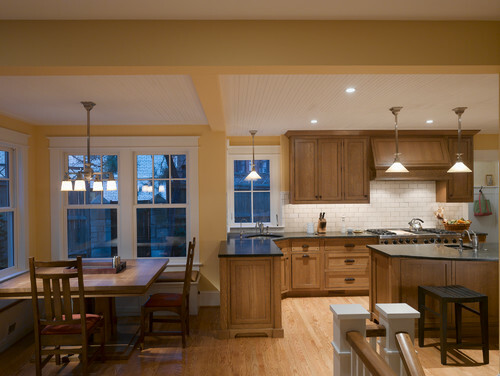 Moore Architects came into the picture and soon began the renovation project that is worthy of a thousand praises. Now it's our turn to admire the new and improved cottage in more detail. Come along, before nighttime hits! 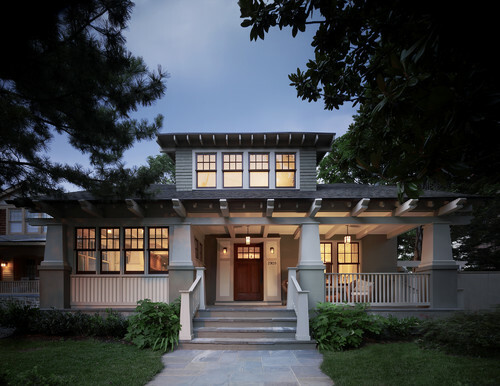 According to Moore Architects, the Porter Street bungalow's original porch could best be described as visually "unwelcoming." There was a sparsity in windows in its original design, something that you can clearly see is no longer an issue. The back of the house is a new addition, set to meet the couple's demands as their family grew and their professional lives prospered. 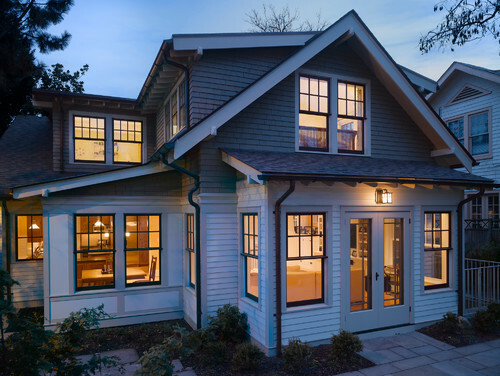 Fast-forward to present: This Craftsman is now the belle of the neighborhood, night or day. 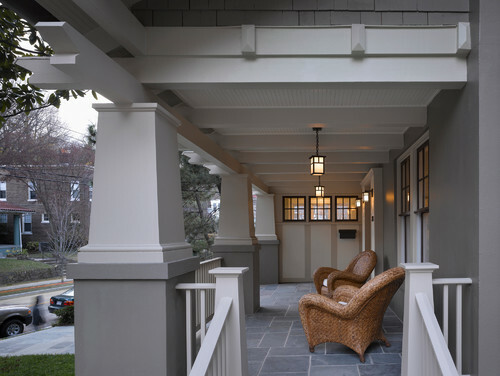 You can even sit on the porch and immerse yourself in the area's historic scenery. Or, if you feel like relaxing indoors, you can ease into the newly enlarged living area. 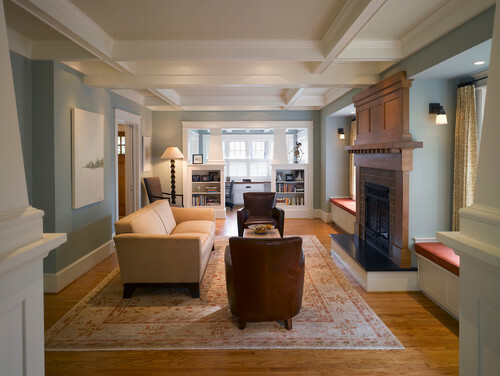 Classical Craftsman vibes prevail, despite modern adornments; if anything, these have been enhanced by the newer furnishings and the soothing blue tones mantling the walls. Feeling productive? 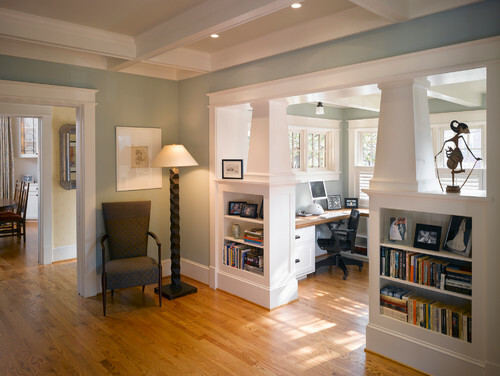 There's an office space right by the living room. Before you start laboring away, though, do take the time to appreciate the decorative details lining the bookshelves. All that hard work made you hungry, huh? Not too worry. 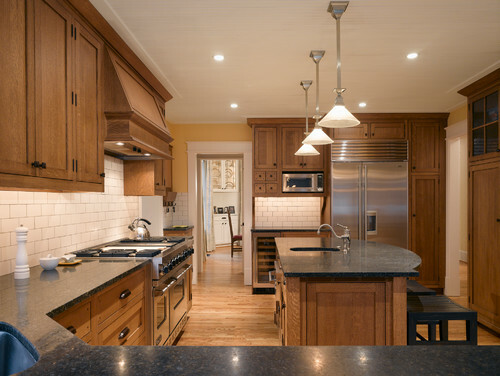 This glossy kitchen is more than a remarkable piece of artistry to feast your eyes on; it also has all your essentials on hand to make a memorable meal. Don't you just love the fact that the eating counter has its own sink? Quite a unique idea, if you ask us. If you look beyond, you'll see that's not the only sink in the kitchen. When traditional dinners strike your fancy, there is a dining table standing by. 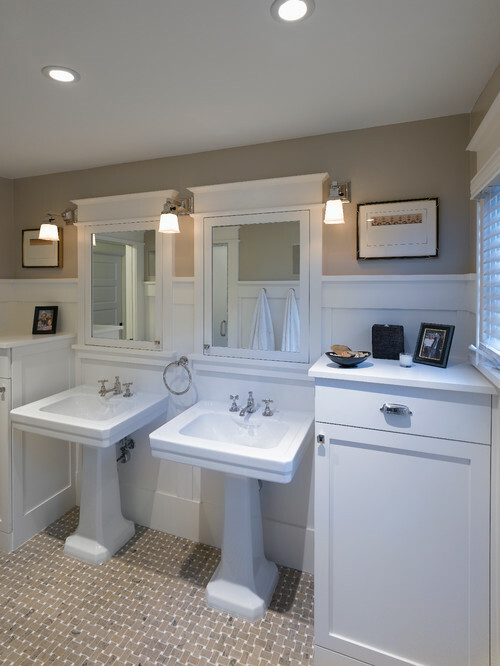 His-and-hers vanities are not a thing of the past. Actually, the bathroom is the perfect place to conclude this tour — modern by nature, yet wholesome by design. 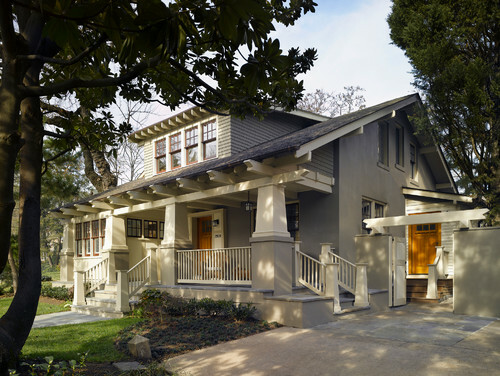 Which is precisely what this Craftsman brings to the world, post-renovation. 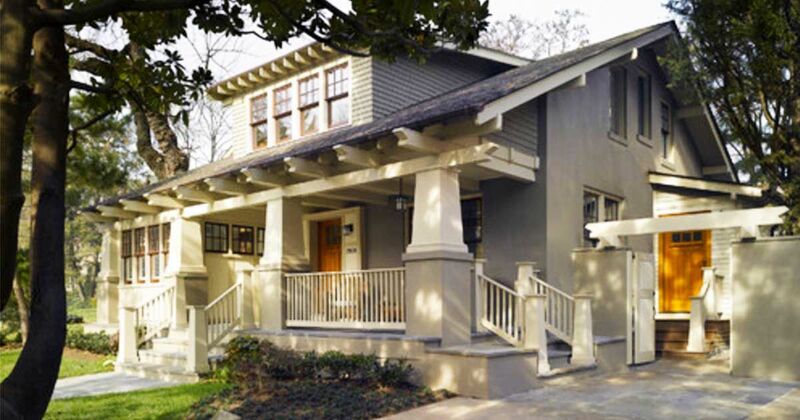 The Porter Street bungalow has been salvaged by its owners and Moore Architects, after years of neglect. 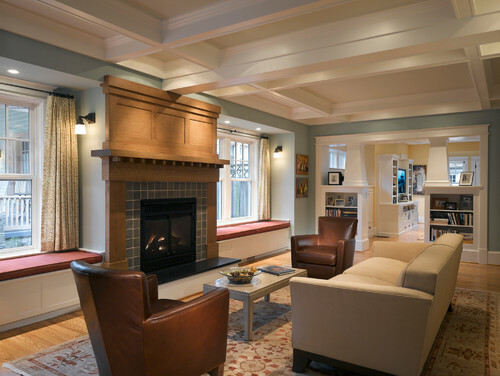 A fresh coat of paint, a few extensions and newer amenities transformed this home into a design that celebrates the past, the present and the future.